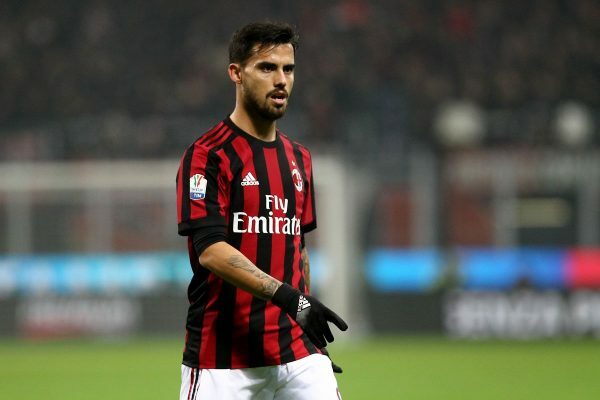 As reported by an Italian outlet Tuttomercato (via a British newspaper the Daily Mirror), Unai Emery’s Arsenal are currently leading the hunt to secure the services of AC Milan star Suso. The same source has also claimed that the impending arrival of Monchi as the new sporting director could help Arsenal in their pursuit of the Spanish attacker. The Serie A star has featured in 30 matches for the Italian heavyweights this term, scoring six goals while picking up seven assists in multiple competitions. His brilliant performances on the pitch has helped his side climb to the 3rd spot of the Serie A standings. The Italian club are now well in competition to book a place in next campaign’s UEFA Champions League. The Cadiz born forward has secured four international caps for his country’s national side but is yet to net a goal for Spain thus far. Suso has gradually proved himself amongst the best attacking midfielder in the Serie A. Since signing for the San Siro outfit in the summer window of 2015, Suso has managed to nail down a first-team place in the AC Milan first-team. Spaniard has put in a host of majestic performances in midfield for Gennaro Gattuso’s club during this campaign. The ex-Liverpool player is a brilliant dribbler with the ball at his feet and has the ability to make some penetrative runs in the wide zones. The Spanish star is renowned for his playmaking skill as Suso can pick out a final pass in the attacking third of the pitch.